Dear Readers, I am always delighted to come across a weed that I’ve never seen before, and even more delighted when it’s in the company of a friend who actually knows what it was. Thus it was that I found this beauty lurking on Bedford Road in East Finchley. On first glance at the flowers, I thought that it was a species geranium such as ‘Rosanne’, but the leaves looked more like those of a potato or tomato. My friend knew what it was because she had planted some in her garden and, plants being what they are, this one had jumped over the fence and spread down the road. 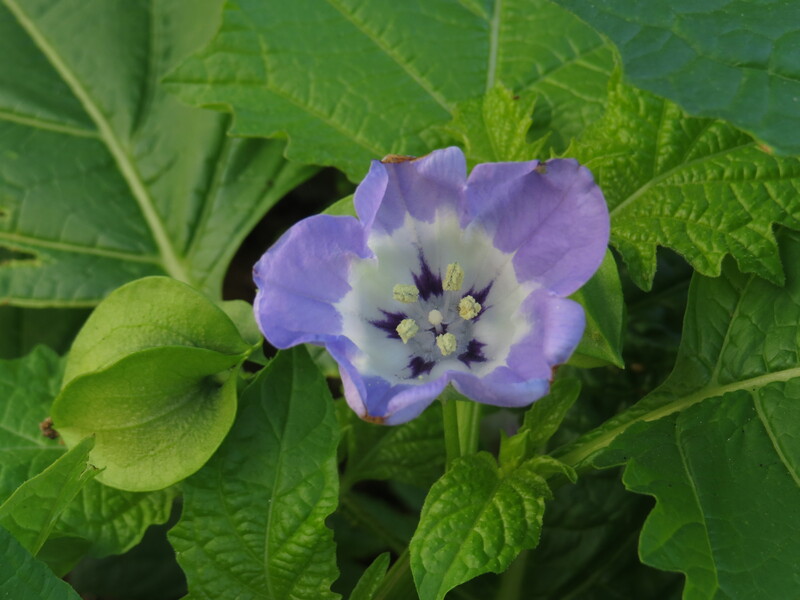 Known as the Shoofly plant, because of the belief that it will keep all kinds of flying insects away, this plant is also known as Apple of Peru. It is thought to have come from Peru originally, but these days has set up home across the globe – it is a popular ingredient in wild bird food, and so it can pop up more or less anywhere. 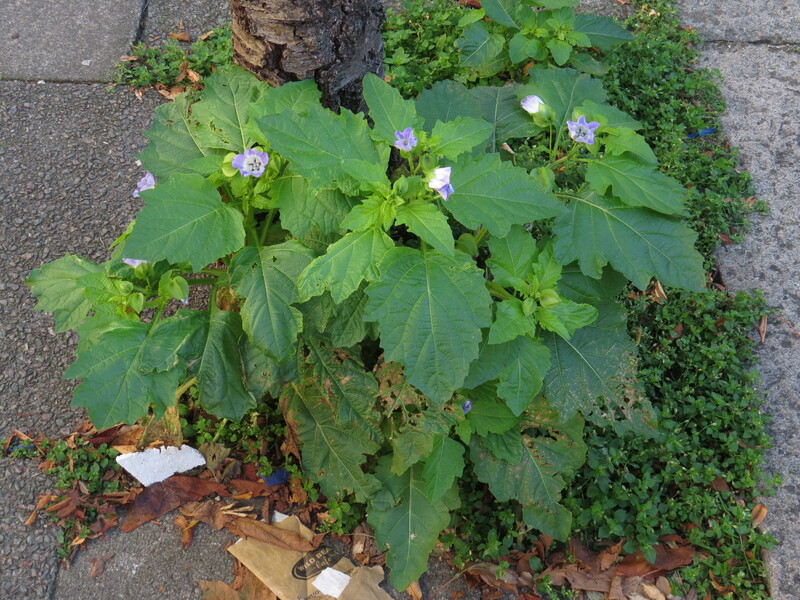 It favours tropical and sub-tropical climates but, as this one shows, it can be equally happy in a damp North London street. In the Caribbean it is planted around windows and doors to deter biting flies. It grows into a hefty annual, with the lilac-blue flowers being replaced by attractive seed-capsules. 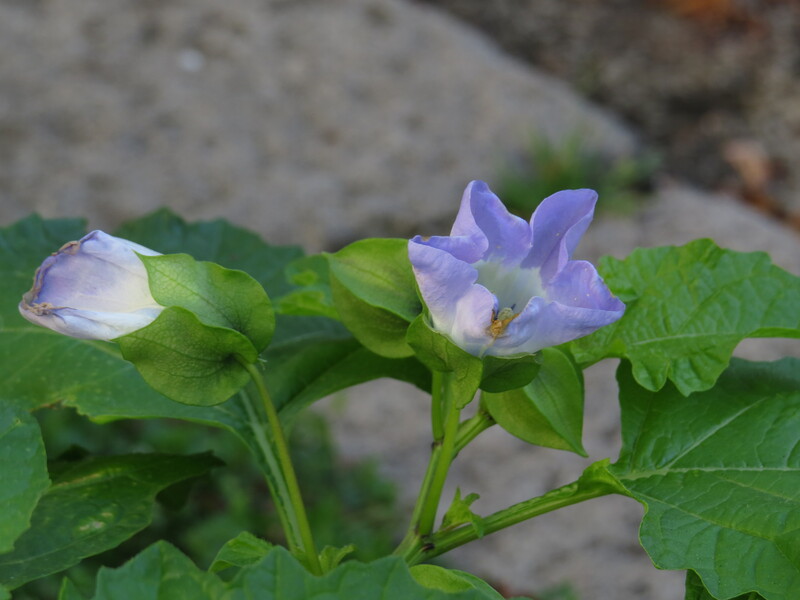 The fruits are interesting – they resemble Cape gooseberry, or physalis, but actually shoofly plant is a member of the nightshade family, and the fruits, and indeed the whole plant, are generally thought to be toxic. In Australia there has been at least one recorded case of sheep dying as a result of feasting on shoofly plant, and in many countries the plant is used as an insecticide. In Tanzania a decoction of the plant has been used to treat headlice, in the southern states of the USA it has been mixed into milk as a poisonous bait for house flies and blow flies, and it has also been used as a treatment for worms and to kill the amoeba that causes dysentery. These insecticidal properties come from a group of chemicals known as nicandrenones, which were finally synthesised for commercial use in 2000. This has not stopped people also eating the leaves as a pot herb, and using the seeds and leaves medicinally for everything from fever and indigestion to constipation. The plant is naturalised in many countries, and has been taken into medicine cabinets everywhere from the Himalayas to Brazil and Madagascar. Shoofly plant, like other members of the nightshade family, is also said to be mildly psychoactive and to cause dilation of the pupil ( which is known as mydriasis – a new word!) 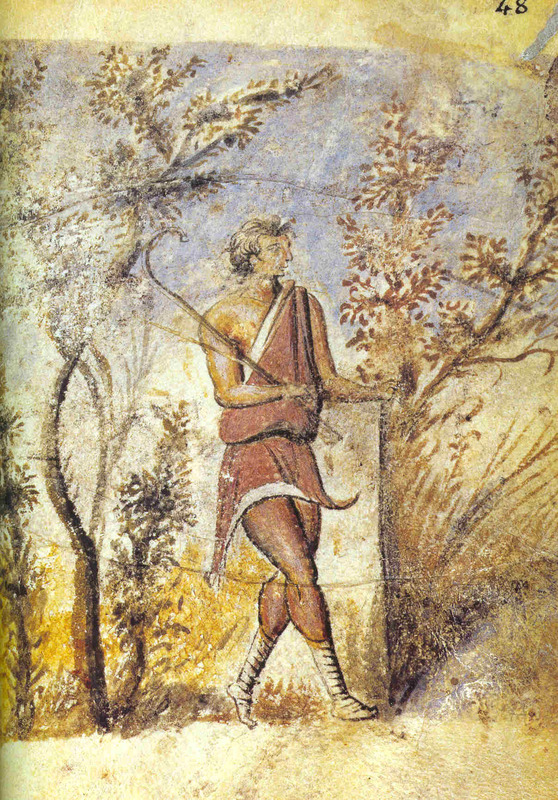 As you might remember, deadly nightshade (Atropa belladonna) was once used in eyedrops by high-ranking Italian women to produce just this effect -it was thought that those big, dark eyes were particularly sexually attractive. Shoofly plant has also been used to produce this effect, with little regard for the fact that prolonged use can produce blindness. If only I could find a translation. Now, try as I might I can find any poetry that refers to the shoofly plant, under this name or any of its other names. 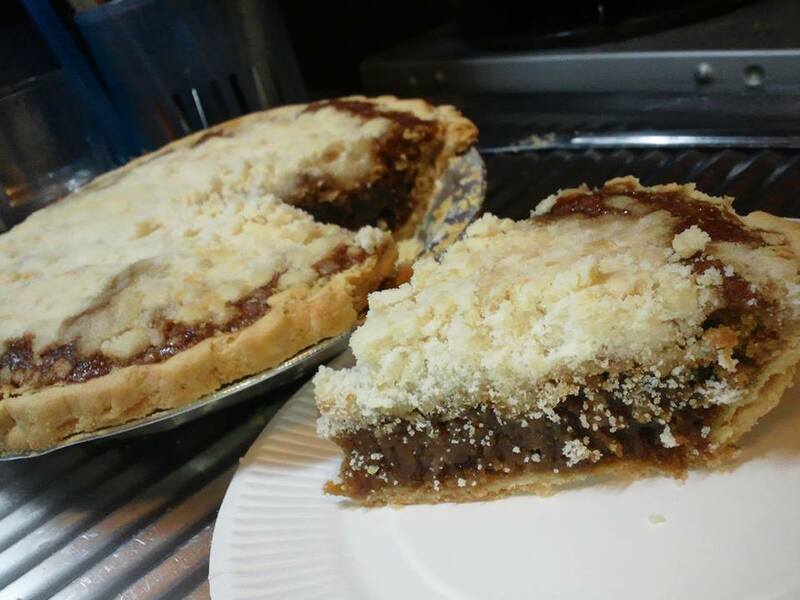 However, I have found the rather delightful shoofly pie, which fortunately contains neither Nicandra physalodes or dead insects, but instead contains molasses. It originated in the 1880’s in the Pennsylvania Dutch community, who called it Melassich Riwwelboi or Melassichriwwelkuche (Molasses Crumb Cake) and ate it with strong black coffee for breakfast. It contains no eggs, which leads historians to believe that it was baked in the winter when the hens weren’t laying, but when molasses would be available, and the pie crust meant that it was easier to eat ‘on the run’. I can only imagine that the name arose because of the resemblance between the black molasses and a swarm of flies. It seems that the bakers of 1880’s Pennsylvania had a sense of humour that Nicander of Colophon may well have appreciated! This entry was posted in London Plants on October 31, 2018 by Bug Woman. I thought the pie was called ‘shoofly pie’ because the molasses attracted the darn critters! Yes, that is what I thought, although there are not many flies in winter. The other shoofly is supposed to be an alternative to castor bean plant for repelling flies, but I have not tried it. Castor bean works, but takes up too much space. Ha! I suspect that you and Rayna are right. After all, molasses is a great thing for attracting moths if you’re looking to see what’s flying about in your garden. You might well be right, Rayna, I hadn’t thought of that…. Love this plant and have often grown it in the garden and so easy from seed! It’s always unusual and many people stop and ask what it is! Pleased you have discovered it in your area!